Glencar to The Devils Chimney and onward to the old mining site at Glencarbury. When darkness falls our guides will prepare some hot drinks for you to enjoy while the meteor shower lights up the skies as we look upward to explore the wonder of our galaxy. 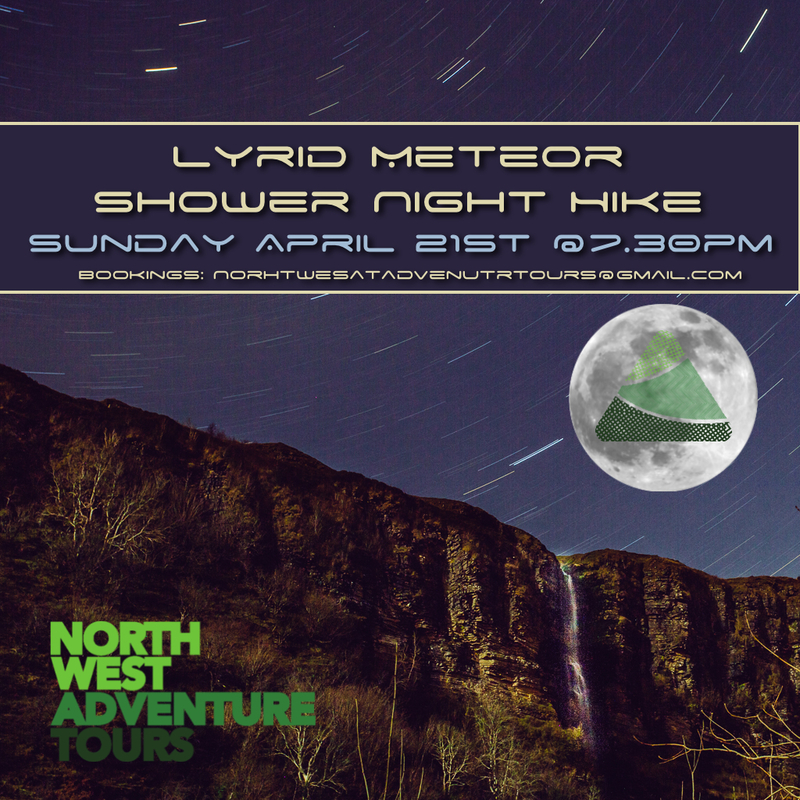 The Lyrid Meteor shower has been known to see bursts of more than 100 meteors per hour and our guides will take you on a star hopping journey through our galaxy as we watch for those shooting stars! 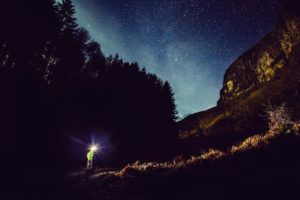 Hear the epic story of how generations of local families worked the Baryrte mines of Glencarbury for over 100 years as we explore the abandoned site under a blanket of stars. Our return hike to Glencar see’s you cross the mountain under the light of head torch and the guidance of our expert guides, the hill becomes a magical different world at night with strange landscape silhouettes and the sound of nothing but peace. Cost : €30.00 per person. Please note you will be walking on the mountain in darkness for at least 1 hour, torches supplied. Appropriate clothing/footwear must be worn, jeans or trainers cannot be accepted, full recommended kit list available on request.